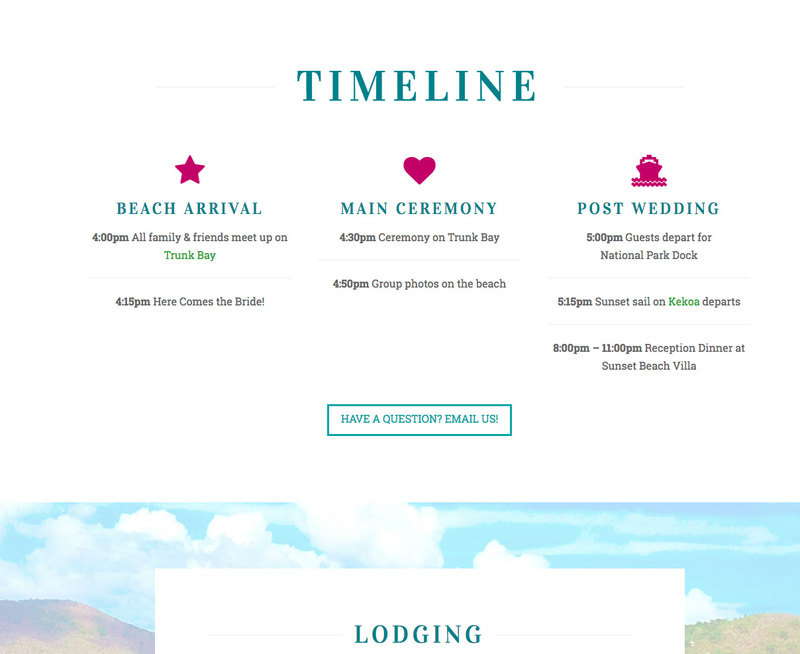 In all my years building websites, somehow I’ve never been tasked with creating a website for a wedding until now. Thanks to the X theme, this build was a piece of cake (pardon the awful pun). 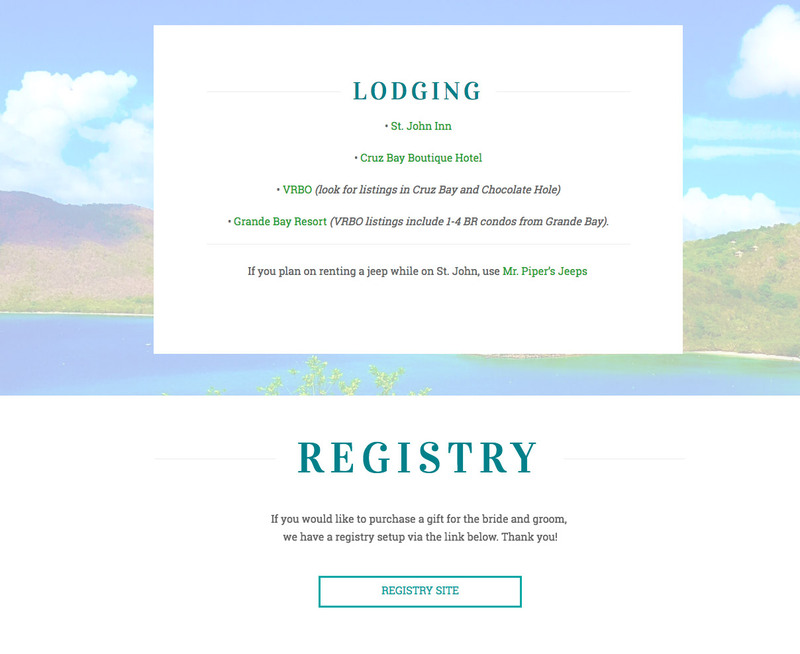 At the bride and groom’s request, I created a straight forward website, essentially one page with a secondary page for the RSVP form. 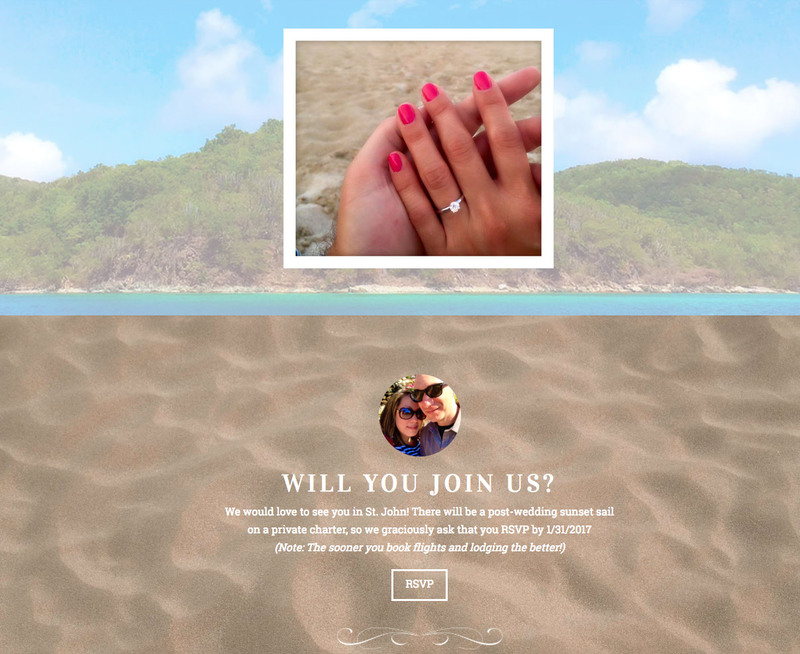 Since the ceremony is on a beach in the Virgin Islands, we went with bright/fun tropical colors. 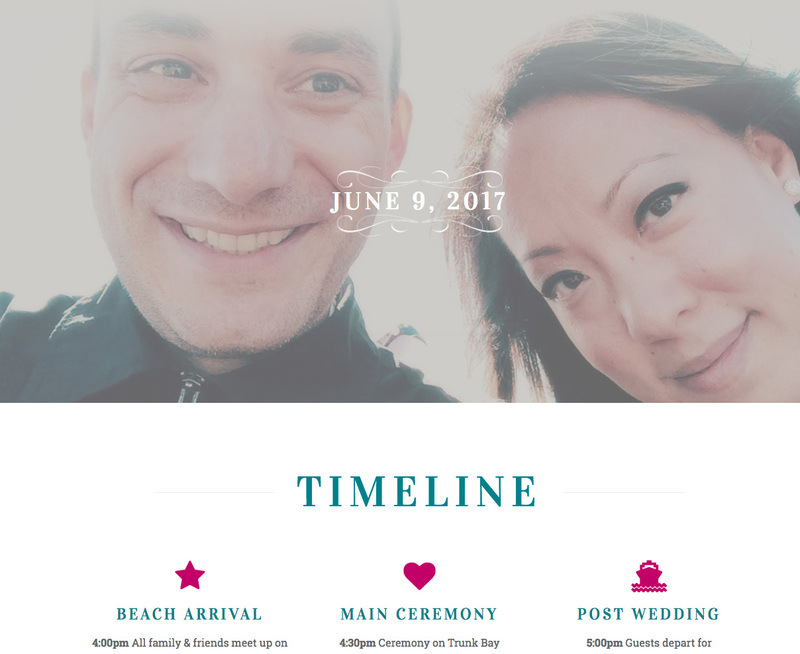 With very minimal plugins, the site loads quickly and gave us some creative freedom to use more/larger images than I would normally recommend. Of course, the site is completely mobile responsive and functions beautifully across devices and screens of all shapes and sizes. All in all, a fun little build, and it’s always nice to crack into a new niche. Anyone else needing a website for their wedding? Holla! 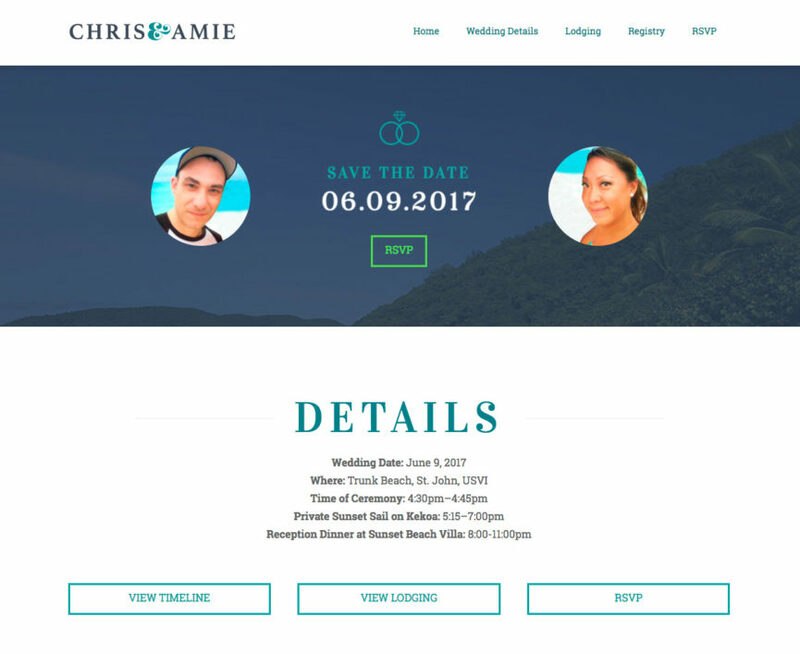 Congrats Chris and Amie!